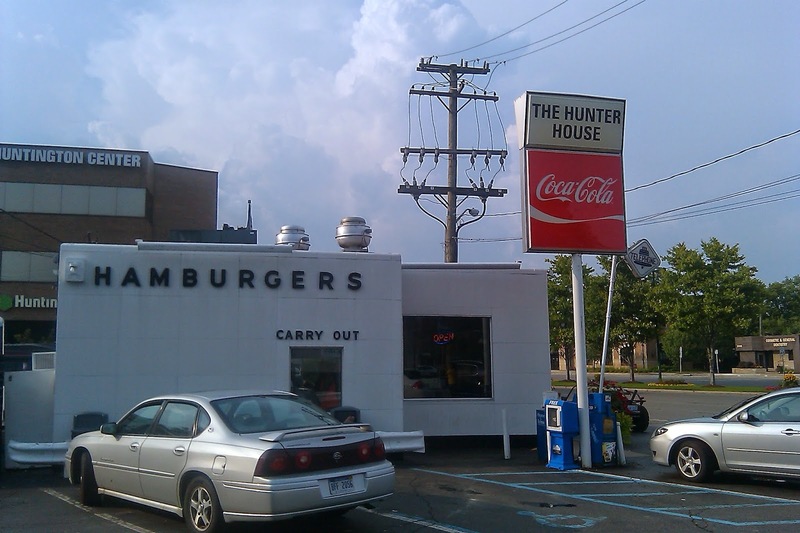 Hunter House is an iconic locale on Woodward Avenue in Birmingham. It takes its name from Hunter Boulevard, which is what that section of Woodward was once called. I have met many people who swear by Hunter House. I've driven by it countless times over the years but never stopped. The diner opened in 1952. As Birmingham and Woodward Avenue have grown around it, Hunter House's small white building has stayed put and probably has not changed much. The diner looks like it is from a different era, and I expected to be served by an old man wearing a white diner uniform from the 50s. Instead, a bunch of young guys in tie-dyed shirts manned the grills and counter. They might not have shared stories about the old days, but they were friendly enough. I ordered two cheeseburgers and a small order of fries. Hunter House bills itself as having the original slider, so I was not surprised to find two tiny burgers in my "to go" bag. The burgers and fries were greasy, but I was expecting greasy food from this old diner. I am not a huge fan of sliders, but they did the job. Hunter House's menu also has burgers with more toppings than the traditional slider toppings, shakes, and hot dogs, including Coneys. If I go back, I would order a burger with more toppings, and I would want to try one of their shakes. I have heard a lot of hype about Royal Oak's Lockhart's BBQ, so I stopped in for a quick lunch one day. I visited on a weekday at the end of the lunch rush, so the restaurant was pretty empty. The building is a little more than a half mile east of Woodward and a couple blocks away from downtown Royal Oak's Main Street. Their draft menu includes a lot of Michigan craft beers. I ordered one of my new favorites, the Short's Huma Lupa Licious. For lunch, I ordered the BBQ Brisket Sammy and hush puppies. The brisket sandwich is simple, with only white cheddar cheese. I added Lockhart's Signature barbecue sauce (I also tried their other sauces on the side--all were good). The brisket itself was tender and delicious. The hush puppies were crispy on the outside and soft in the middle, and very tasty. My beer. The food looked so good that I forgot to take a picture of it. I definitely will pay this barbecue joint another visit. If a barbecue place has a good beef brisket, everything else is bound to be good. One-Eyed Betty's has been open for a little more than two years, and I have read and heard a lot of good things about their food. The restaurant is just off Woodward Avenue on Troy Avenue in Woodward. 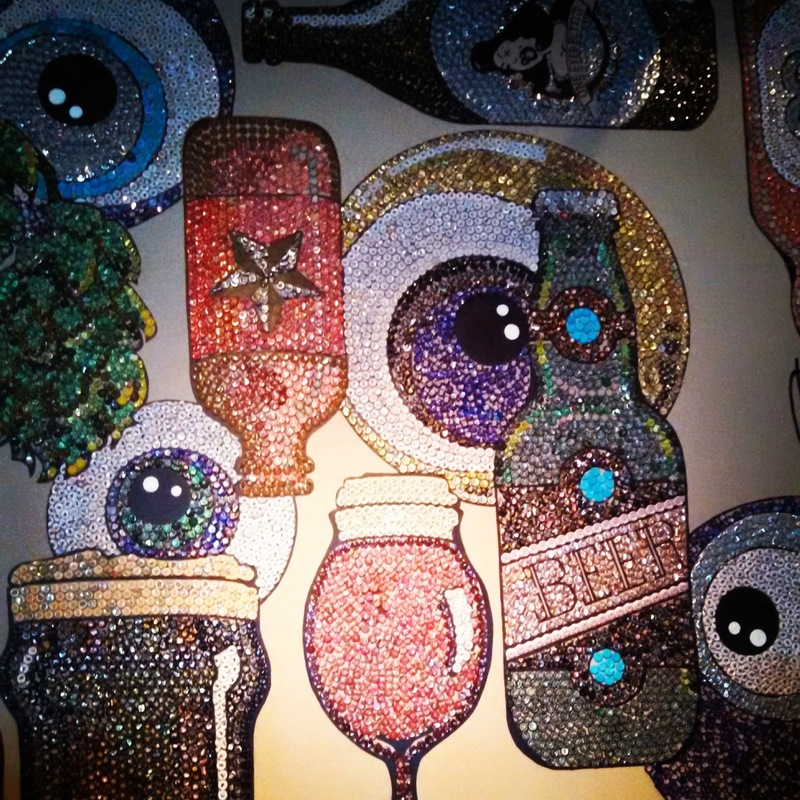 If you love craft beer, especially Michigan craft beer, you will love One-Eyed Betty's. The restaurant has more than 40 beers on tap, plus another 90 in bottles. 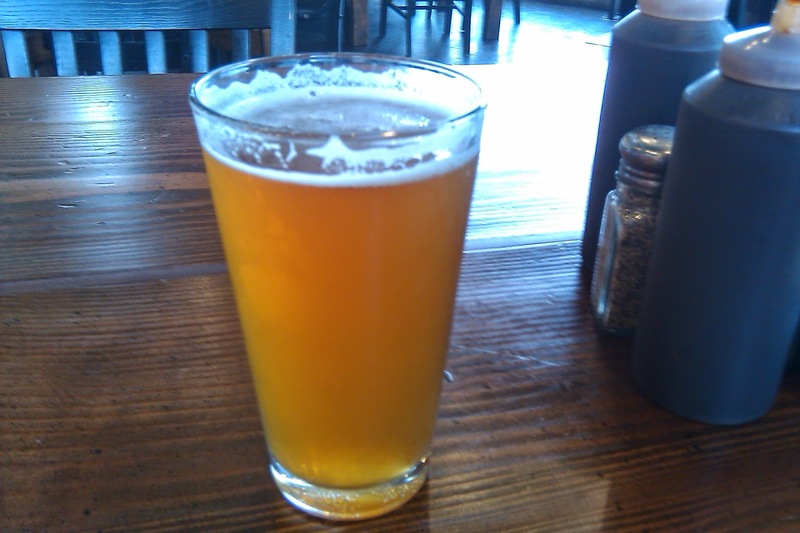 I ordered a Fluffer IPA from Kuhnhenn Brewing Company, yet another excellent Michigan brewery. The beer was a perfect choice to go with One-Eyed Betty's outstanding food. Most children revile brussel sprouts, but they clearly did not have One-Eyed Betty for a mom. The restaurant fries its brussel sprouts with a simple mix of balsamic vinegar, salt, and pepper. The crispy little sprouts made a huge impression on my taste buds. 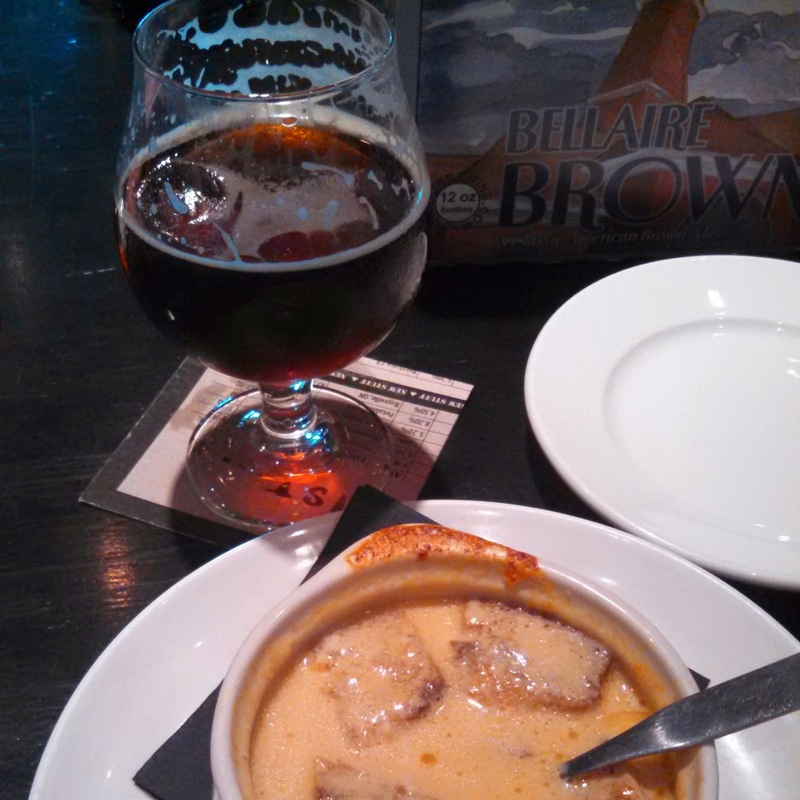 I also tasted my wife's beer and cheese soup, and it was the best beer and cheese soup I have ever tasted. I ordered the Betty Burger for my main course. The burger comes with bacon, sharp cheddar, garlic aioli, greens, tomato, and onion and a side of french fries. It was perfect, as was everything else at One-Eyed Betty's. Woodward and the neighborhoods near Woodward have so many excellent restaurants. Forget the Dream Cruise. The real Woodward Dream Cruise for me would be a weekend eating at restaurants on or near Woodward Avenue from Downtown Detroit to Pontiac. Oh I do love a food post! Shields was one of the first places I had pizza after moving to Michigan - always so good. I find sliders can be so hit and miss but we do enjoy the ones from the Telway in Madison Heights, although I enjoy their coney dogs more admittedly. For some reason One-Eyed Betty's has passed me by, that's going to have to be visited sometime soon and everyone keeps suggesting we eat at Lockharts - keep hearing such great things about that place. A food cruise does sound a lot better to me! Thanks, Rachael. I've heard the Telway is great. I will have to check it out.